This article is reprinted from the book The New Terrorism - Anatomy, Trends and Counter-Strategies by Andrew Tan and Kumar Ramakrishna (eds.) (Singapore: Eastern Universities Press, 2002), pp. 193-206. The first one concerns the problem of definition. Today many authors and specialists, especially Americans, use a variety of terms: mega-terrorism, super-terrorism, terrorism of weapons of mass destruction (WMD), and—one of the latest—catastrophic terrorism. We prefer to use the more classical term, non-conventional terrorism, referring thus to the use, or the threat to use, chemical, biological, nuclear and radiological agents or weapons. The second remark is more substantial. It concerns the effect of non-conventional terrorist attacks. Most researchers consider such weapons WMD. We distinguish between limited—or mass destruction—non-conventional terrorist attacks and extreme—or mass annihilation—attacks. The difference lies in the number of potential victims from such an attack. Only extreme non-conventional terrorist attacks could produce the destruction of a whole city with many thousands of victims and contaminate a large area for a long period of time. The limited attacks might cause hundreds, perhaps even more victims, but only on a limited scale (for instance in a stadium, an embassy, a mall, etc. ), and without contaminating the place for a long period of time. In order to decide upon an approach for the countering of NBC terrorism we should first evaluate the real threat presented in this field by terrorist organizations, on the short and medium term. The present analysis is based on a research led by the author at ICT in 1998-99 and whose conclusions are quickly present here. We have collected publicly available reports of incidents and built a database, not a complete or exhaustive one, but one that included most of the known and significant incidents. The incidents were classified by the period of occurrence (divided into three decades), the continent and country of occurrence and by their degree of severity. It must be stressed that we tried to identify only incidents of terrorism, i.e. those with a political background, a difficult task in itself. The incidents of nuclear terrorism (involving attacks or threats against nuclear facilities and radiological terrorism) sharply declined over the past three decades, from 120 incidents during the 1970’s to only 15 in the 1990’s. In contrast, the incidents of chemical and biological terrorism showed a gradual but steady rise. In the 1970’s there were 14 incidents of chemical terrorism and 10 incidents of biological terrorism; in the 1980’s there were 34 incidents of chemical terrorism and 13 incidents of biological terrorism; whereas in the 1990’s there are 36 reported incidents of chemical terrorism and 18 incidents of biological terrorism. The incidents were classified into seven categories according to their degree of severity. This permitted a more refined analysis. Threats represented 55% of the incidents: 20% were threats to use WMD in terrorist attacks. In this category threats to use chemical agents represented the majority of incidents (55%), threats to use biological weapons, 25%, and nuclear terrorism threats 20%. Threats against facilities represented 34% of the incidents, all of them threats against nuclear reactors and installations. Twenty-five percent of the incidents related to an actual terrorist attack. Thirteen percent of the incidents referred to action against facilities of weapons of mass destruction, the majority of them against nuclear facilities, but always when nuclear material was absent form the facility and thus did not present a real physical danger to the environment. Twelve percent of the incidents refer to actual use of non-conventional agents. In this category were included incidents that resulted in casualties but also incidents in which the perpetrators succeeded in placing the materials at its destination without causing any injuries. Eighty-eight percent of the incidents of actual use of agents of mass destruction were incidents of chemical terrorism. Almost 53% of the incidents occurred in the United States. Nearly 28% of the incidents occurred in Europe. The incidents that took place in the Middle East represented only 4% of the total. Of those, 10 out of 12 were incidents of chemical terrorism and 2 were of biological nature. However, it should be noted that Middle Eastern countries (Egypt, Iraq, Iran and possibly Sudan) made relatively massive use of chemical weapons on the battlefield, which means that these countries and their proxies had fewer moral constraints against the use of such weapons. Ten percent of the incidents occurred in Asia, mainly Japan (mainly incidents of chemical terrorism) and less than 2% in South America and Africa. From the existing data it was found that the developed, industrial world—U.S., Europe and Japan—was the main ground for non-conventional terrorism, the United States leading the targeted countries. This could mean that the industrial-technological infrastructure is necessary for the development of a non-conventional capability by a terrorist organization. The WMD facilities targeted (nuclear or chemical plants, military weapons, etc), are also usually found in these countries. The fact that very few incidents were registered in the Middle East and South America could imply that this kind of terrorism was less used in areas were conventional terrorism was widespread and successful. The only real, successful chemical terrorist incidents in the past have been the Aum Shinrikyo’s sarin attack in Matsumoto in order to kill three judges in 1994 and the Tokyo subway attack on March 15, 1995, which killed 12 people and injured some 5000. The Matsumoto attack is not only the first real chemical terrorist attack, but also the most sophisticated one, because it used a more advanced dissemination method than the one used in Tokyo. According to Bruce Hoffman, it was not Aum but the Liberation Tigers of Tamil Eelam (LTTE) who were the first insurgent, guerrilla or terrorist organization to stage a chemical weapons attack. In June 1990, the group used chlorine gas in its assault on a besieged Sri Lankan Armed Forces camp. The attack, like Aum’s five years later, was relatively crude: thus again suggesting the impediments to mounting more sophisticated operations employing CBRN weapons. The only serious radiological incident—which was in fact a mock or hoax attack—was the placement in a Moscow park on November 23, 1995 of “a radioactive container”—in fact a barrel containing radioactive elements—by Chechen terrorists. The quantity of material in the container and its radioactivity (cesium 137 used in X-ray equipment or some industrial processes) did not present a serious threat of contamination of the area nor of damage to people’s health. The research evaluation has been that the known terrorist organizations do not have the capability to produce or acquire real non-conventional weapons. Even in case they succeed producing and using simple, low-level non-conventional weapons, the number of victims would be limited to several dozens or hundreds, as in the case of the sarin gas attack by the Japanese Aum Shinrikiyo in March 1995 in the Tokyo subway (12 people dead and several thousands wounded, the majority lightly), in spite of the high technological degree of the organization. Therefore, for the near future it was predicted that the more deadly use of conventional weapons and the preparation of low-grade non-conventional attacks would only arise in case of extreme strategic developments (for instance the use of chemical or biological agents by radical Islamisafter the destruction of a Muslim holy shrine). As noted, it was evaluated that the existent terrorist organizations and networks have the potential to perpetrate only limited attacks. But it must be stressed that the political and psychological consequences of limited attacks would be enormous for any country targeted. The anthrax letters of September-October 2001 in the U.S. have shown how significant can be the psychological, social, economic, and political damage of a campaign that has produced “only” 5 people dead and some 25 injured. The use of hijacked planes as WMD was anticipated by the research, although not on such a huge scale and with such an easy success in the heart of the U.S. It must be stressed that Israel has been prepared since the 1970’s for such a scenario, and its air force downed a Libyan civilian plane over the Sinai desert in the 1970’s because of the fear that the plane was to be used for such an attack. Likewise, a small Lebanese civilian plane was shot down near Tel-Aviv by helicopters in May 2001 because it was feared to be a Hizballah suicide operation. In the short history of bio-terrorism only a few terrorist groups have attempted to acquire biological agents, and even fewer have actually attempted to use the agents. The number of known victims from bio-terrorist incidents is also very limited and there have been almost no known fatalities. Some attacks have specifically targeted individuals, while others have focused on contamination of food and water. Most terrorist groups have used dissemination techniques unlikely to cause mass casualties. The Japanese terrorist cult Aum Shinrikyo is the only group known to have shown an interest in developing aerosol dissemination capability. Aum Shinrikyo’s biological program was primitive, although they had a team of some ten very well prepared physicists. Only the Rajneshee cult incident in 1984 resulted in a relatively high number of victims (751 people became sick), though there were no deaths. The cult’s members contaminated salad bars in local restaurants in The Dalles, Oregon, with Salmonella typhi (typhoid) in order to influence the outcome of a local election. The only known fatal cases reported in the literature were those of bio-crimes (nine cases from 1900 today) and accidents (in 1979, a release of anthrax spores from a Soviet biological weapons facility in Sverdlovsk killed at least 66 people). In 1998 and 1999 there was a campaign of threats (33 in 1998 and 46 in 1999) in the United States to perpetrate attacks using anthrax, but no anthrax was used. Some of these threats were contained in letters, most of them addressed to abortion clinics between October 1998 and January 2000. All of these turned out to be hoaxes. Therefore, the anthrax attacks after September 11 can be considered the first successful bio-terrorism attacks. The modus operandi used during the October 2001 campaign of anthrax letters was not a mass destruction attack but rather a series of symbolic attacks against individuals representing the media and American power centers. It has even been speculated that all of the cases of anthrax exposure in the Washington area were the result of the one letter sent to Senator Daschle. Whether this is true is still not clear. According to one specialist, the available open-source evidence strongly suggests that the attacker had access to specific weaponization technology, anthrax culture of the Ames type, and probably immunization against anthrax. The one place where all three of these factors would occur together is a weapons-related research facility. Lately it was reported that the FBI’s search for the person who mailed the anthrax-laced letters that killed five persons has focused on a former U.S. scientist who worked at a government laboratory where he learned how to make a weapons-grade strain of the deadly bacteria. According to a CNN report of 27 March 2002, almost six months after anthrax letters began turning up in the mail, the mystery of who sent the deadly letters and what his motives were persists. The low level of technology employed, while using a relatively virulent strain of the bacteria, could imply that the perpetrators did not have the sophisticated means to disseminate the anthrax as an aerosol. The anthrax campaign by simple letters mailed through the federal postal structure also proved the lack of preparedness of the relevant authorities, considering that the country had invested a large amount of money and technological effort in preparing itself for WMD attacks since the mid-1990s. From all the data published concerning the findings in al-Qaida bases in Afghanistan it seems that there was no real production or purchase of non-conventional agents or weapons, although there was a clear interest in acquiring or perhaps developing such a capacity. At the same time, the danger exists that limited, low-level chemical, biological or radiological attacks will be carried out in the near future. The most serious danger is the threat of attacks against existing chemical or nuclear civil facilities in the developed countries. international cooperation in the fields of international law enforcement treaties, as well as in operational intelligence and monitoring of suspected NBC terrorists. The threat of large-scale acts of terror, and the potential of non-conventional terrorism will enhance the need to prevent terrorist schemes and give warning before such acts happen. The utmost importance of early warning appeared clearly after the September 11 attacks in the U.S.; the U.S. air force was not at all prepared to deal with the use of hijacked civil planes for suicide attacks inside the country. In the case of chemical or nuclear terrorism without warning, even the first-responder teams could be destroyed before they act. In case of biological threat, the early warning could at least permit the immunization of the endangered population. Therefore, it is important to develop a list of alert indicators concerning the imminent use of chemical, biological or radiological/nuclear agents. The existence of small groups and cells of highly motivated religious extremists, right-wing fanatics, and unpredictable esoteric or millenarian cults—which in many senses act anarchically—means that the work of penetration and infiltration of these groups is highly difficult. Thus, the use of human sources, Humint, should be expanded and perfected; the counter-terrorism expertise, the cultural knowledge and the language aptitudes of Humint officers should be improved. It is important that intelligence services also cover the so called gray zones and do not permit the formation of ‘blind spots’ in the overall intelligence picture, such as Afghanistan until recently, Somalia, some other areas in Africa, the jungles in the Philippines or Indonesia, etc. Such ‘holes’ in intelligence coverage would permit terrorist groups to find safe haven in such places, in which they would grow, later to proliferate to the outside world. This means that the investments of governments in intelligence capabilities, both human and technological, must be enhanced on a very large scale. As regards the proliferation of non-conventional agents and weapons, particularly to the extent that it may touch terrorism and affect the security of whole countries, the next decade will certainly present the most formidable task. The challenge in this case is two-fold: on the one hand it is necessary to penetrate andmonitor the activities of the various networks and organizations in their attempts to acquire or use these weapons. On the other hand, there is a need to identify, monitor and neutralize the providers of raw materials, technology and know-how used in the preparation ofsuch weapons. This mission is linked to the overall task of preventing the proliferation of WMD to rogue states, but in many senses is more intricate. This means that the inter-action and the cooperation between security and military establishments, the scientific community and industry must be strengthened and developed in a manner that can help identify at the earliest possible stage any interest shown on the part of rogue elements in the search for non-conventional capabilities. Special attention should be given to the poor conditions of security at the chemical and nuclear facilities in the former states of the Soviet Union, mainly Russia. We should also be aware of the possibility that former—or even currently active—scientists and technicians in these sensitive professions would assist terrorist organizations in achieving non-conventional capability. Chemical and nuclear waste facilities and transportation routes in the industrial countries should be also considered as potential sources of raw material for terrorist organizations, or as targets for attacks by these same organizations. This is even more true in many poor countries which have become receptacles of such waste for economic reasons. Therefore, strict security measures must be adopted for these plants, deposit places, and transportation means. Noteworthy is the case of two Pakistani nuclear scientists who probably advised Osama bin Laden in his efforts to develop some kind of nuclear or radiological capability. It is not yet clear how much they knew about the practical steps in this enterprise and how much practical know-how they passed on to al-Qaida. According to recent publications, hundreds of small radioactive power generators scattered across the Soviet Union decades ago and largely forgotten, could fall into the hands of terrorists. On the other hand it should be noted that Russia has created a special elite force to defend its nuclear facilities and bases and it seems that the security at these installations has greatly improved. Another area of concern is the interest that criminal elements and organized crime syndicates show in this “lucrative” activity, although it must be stressed that up to now, most of the known cases of smuggling of radiological/nuclear materials have been either deceitful operations by swindlers or sting operations by police and security services. 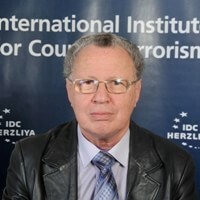 Nevertheless, the activities of criminal elements poses a great challenge to the police and security services, as it is known that the connections between organized crime and terrorist organizations is difficult to monitor. The funding of such illicit transactions, which involve great sums, implies the strict monitoring of financial transactions and money laundering. 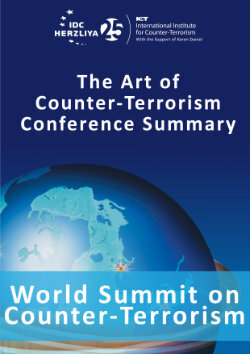 The measures taken in this framework by the U.S., Europe and other countries as a consequence of the 9/11 attacks illustrate the importance of this aspect of counter-terrorist activity. Lately it was learned that a large Muslim charity based in Illinois, U.S., and intimately connected to Osama bin Laden for years, had contacts with terrorist operatives who tried to obtain weapons of mass destruction for al-Qaida. In some cases, these counter-terrorist measures could imply limitations on civil rights and liberties and on the right of the public to information. Countries producing dual-use chemical, biological or radiological materials will have to enact strict laws concerning the commercialization of this products in order to find the most efficient ways to monitor and insure their implementation. Finally, the physical security and access to sensitive civil chemical, biological and nuclear facilities, plants and laboratories should be greatly improved. Lately, the U.S. and some European states have taken military steps in order to defend such facilities, mainly nuclear power plants, in light of the growing information indicating the interest or the planning of Islamist groups to attack them. The U.S. has been the most advanced country in the preparation of the necessary emergency infrastructure to cope with the aftermath of a chemical, biological, or nuclear terrorist attack. The Defense against Weapons of Mass Destruction Act has permitted training in CBRN preparedness for 120 major cities across the U.S. and this number has recently been increased to 157 cities. This includes training of emergency responders and medical personnel, chemical and biological exercises in cities across the United States, and the improvement in the planning and coordination of federal, state, and local agencies dealing with WMD terrorism. The U.S. has also developed training publications, technical reports, and planning guides; and established a Chemical Biological-Rapid Response Team (CB-RRT) including its emergency communications system. The U.S. had already created in the 1970’s the NEST (Nuclear Emergency Search Team), which from 1975 to 1993, intervened some 30 times in nuclear related incidents. Unfortunately, few countries can invest, even proportionally, the same financial, scientific and technological resources in the defense against the non-conventional terrorist threat. Therefore, there is need for the U.S. to help and support other countries to prepare themselves in this field. The Office of the Coordinator for Counterterrorism (S/CT) of the State Department already has already begun to do this: it trains host nations with American diplomatic and military facilities in a CBRN preparedness program and first-responder awareness training. The S/CT also manages the interagency Foreign Emergency Support Team (FEST), designed to provide support to the host nation in the event of an attack on a U.S. installation in that country. This kind of assistance must be expanded to permit threatened countries to better prepare themselves for any attack, even on not connected with American interests. It is an accepted axiom today that cooperation on the bilateral, regional and international levels is essential in preventing and neutralizing international terrorism. Without sincere and close cooperation between the various countries in the intelligence field, each country, as past experience has shown, will at one time become a victim of terrorism. A very interesting and important development has been the creation of the Terrorism Prevention Branch (TPB) of the United Nations, in the framework of the Center for International Crime Prevention. The TPB intends to research the subject of WMD terrorism and develop a set of practical advisories to UN member states to cope with the threat. There have also been initiatives on the part of countries like France and Russia to improve the international legislation at the United Nations concerning the financing of terrorism or the prevention of nuclear terrorism. The advanced industrial countries—not only the G-8 countries but also Singapore, China, India, South Korea, Brazil, and others—should invest in, and participate in, a coordinated international effto develop technical prevention tools, because in the long run every country could be a target for NBC attack or blackmail. Traditional international arms control measures are less effective in monitoring and controlling proliferation efforts by small terrorist groups, and might not detect the development of a biological weapons or chemical weapons capability using only commercial supplies and equipment. Nevertheless, traditional arms control measures may influence behavior, though they will be more effective towards state sponsors of terrorism than non-state actors. However, it is important to build international consensus against CBRN weapons proliferators and isolate states that develop such weapons. It is therefore necessary to develop new agreements and legal tools of arms control to cope with the threat at the UN, and elsewhere in the international arena.